The quality of the reviews received is generally very high, and the reviews most often provide good advice to the board as well as to the applicants/centers. However, although the reviews serve as very important inputs to the board’s decision, it is the board that makes the final decision. On an average, the result of the application will be available to the applicant within 12 – 15 months of the time of application. 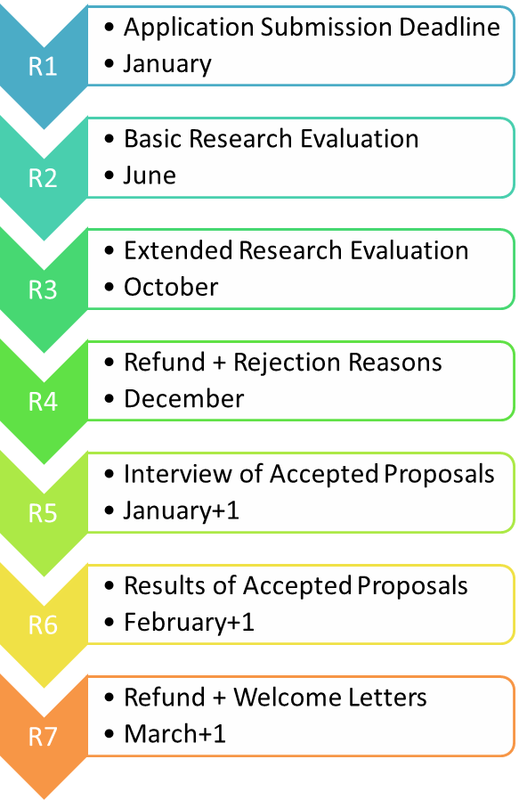 If the application is getting rejected, you will receive the Refundable Application Fees along with the reasons for the rejection between 9 months to 12 months. If the application is getting approved, you will receive the Refundable Application Fees along with the Congratulations letter from the President / International Secretary regarding to the acceptance of the initiation of the Center of Excellence between 12 months to 15 months of time from the application. Certain exceptional cases may take a long time to process, which is out of the control of The Association of Scientists, Developers and Faculties.